Are you a paddle enthusiast? Perhaps you enjoy paddling around a quiet lake; or maybe your style is letting someone else do the work while you dip your toes in the water? 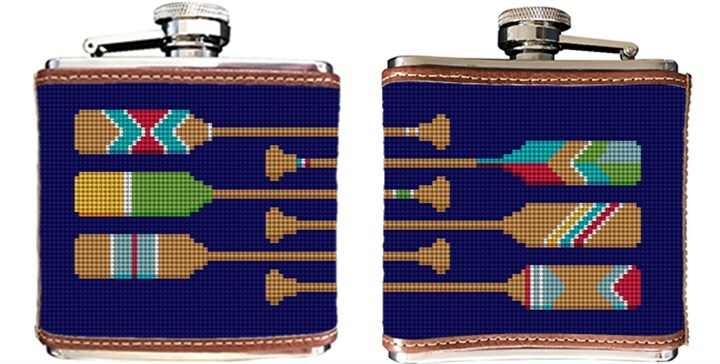 Our handsome Preppy Paddle needlepoint flask will add the perfect amount of good taste to your preppy style; including plenty of rich bold colors and clean design.